If you’d like to maximize your time in Mesa Verde National Park, then make plans to stay at the only in-park lodging — Far View Lodge (www.visitmesaverde.com). Located about a mile north of the Far View Sites, this 150-room property features good access and great views of the surrounding countryside. There’s accessible parking near the main lodge building, with level access to the lobby. From there is just a short drive to accessible room 159. There’s no striped parking in front of the room, but the lot is paved and there’s plenty of space to pull up right outside the room. Access features include a threshold ramp, wide doorways, a lowered clothing rod and good pathway access throughout the room. Decorated in a western theme, the room is furnished with a 22-inch high queen-sized bed with wheelchair access on both sides, a chest of drawers, a desk and a refrigerator. 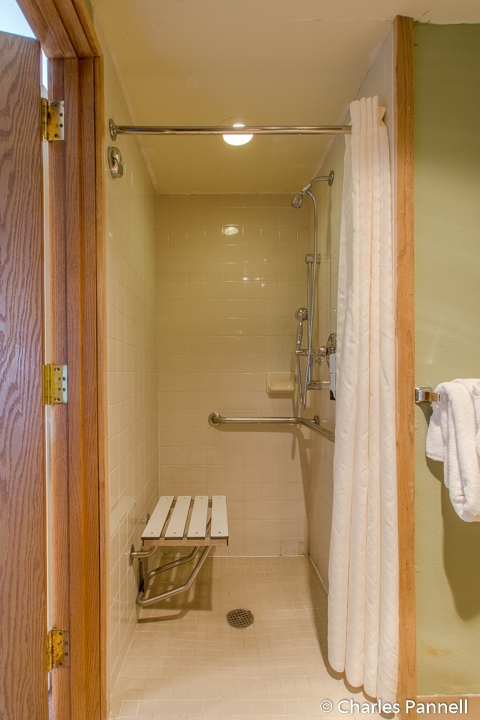 The spacious bathroom is equipped with a three-foot-square roll-in shower with a fold-down shower bench, grab bars and a handheld showerhead. 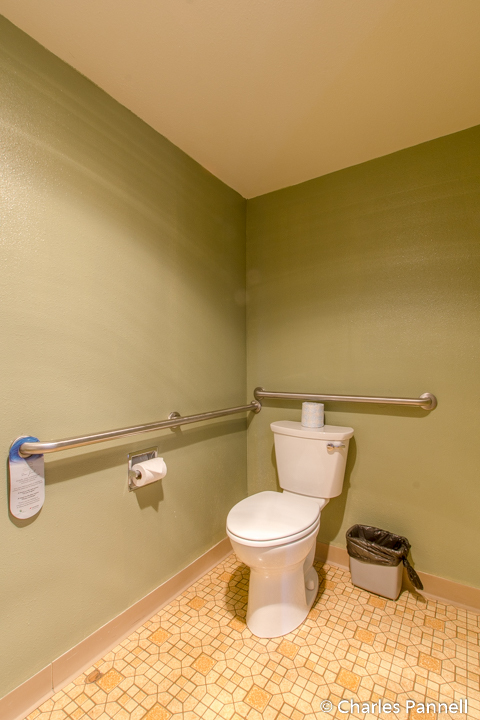 The toilet grab bars are located on the back and right walls (as seated), and there is a roll-under sink just outside the bathroom. The room is very nicely done, and they even remembered to lower the towel bars. On of the best features of this room is the private balcony, which features level access and plenty of room for a wheelchair. Even if it’s too cold to sit outside, you can still enjoy the view from the large picture window. 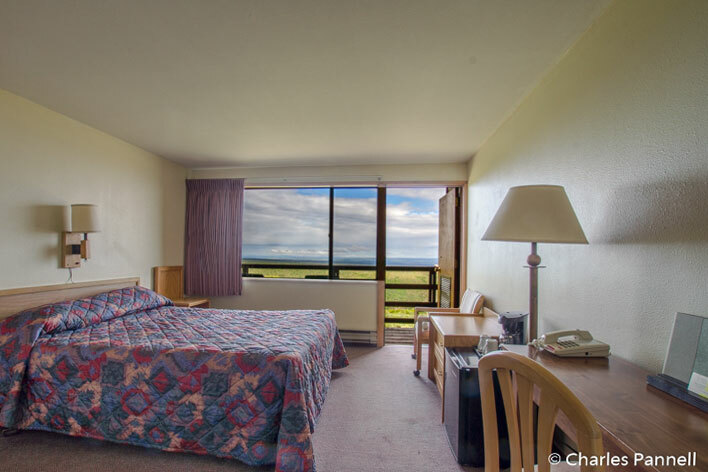 And since there’s no television in the room, you can occupy your time by star gazing and enjoying all that Mother Nature has to offer — and that’s reason enough make Far View Lodge your home base when visiting Mesa Verde National Park.